Other, Background Singer, Rhythm Guitar. *Kristen Faulconer Winner at the X-Poze-Ing Music Awards 2013 in the Best Song Hard Rock category for her song, "Phoenix" Feat. Chet McCracken (formerly of The Doobie Brothers). *Kristen Faulconer Nominated at the Artists in Music Awards 2014 for Best Rock Artist. *Kristen Faulconer Winner at the June 2013 Akademia Awards in the Dance/Electronic category for her song, "Take Me Away" Feat. Lorenzo Lellini and Handsome Rob. *Kristen Faulconer Nominated at the June 2013 Akademia Awards in the Dance/Electronic category for her song, "Take Me Away" Feat. Lorenzo Lellini and Handsome Rob. *Kristen Faulconer Nominated at the X-Pozing Music Awards in the Rock category for her song, "Phoenix" Feat. Chet McCracken (formerly of The Doobie Brothers). 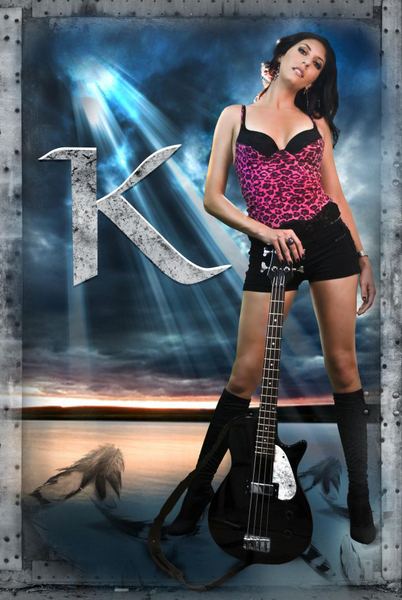 *Kristen Faulconer Award Winner at The Akademia Awards for the Rock/Hard Rock category 2013, for her song, "Phoenix" Feat. Chet McCracken (formerly of the Doobie Brothers). *Kristen Faulconer Nominated twice in the Rock/Hard Rock category for the Akademia Awards 2013, for her songs, "Phoenix" Feat. Chet McCracken (formerly of the Doobie Brothers) and "Slow Down" Feat. Raymond Herrera (from Fear Factory) on THQ's International Video Game Alive: MX vs. ATV 2011. *Kristen Faulconer Award Winner at The Malibu Music Awards 2012 and "Finalist" in the "Rock" genre. *Kristen Faulconer Nominee at The Malibu Music Awards 2012 in the Rock category for "Best Song" for her song, "Slow Down" Feat. Raymond Herrera (from Fear Factory) on THQ's International Video Game Alive: MX vs. ATV 2011. 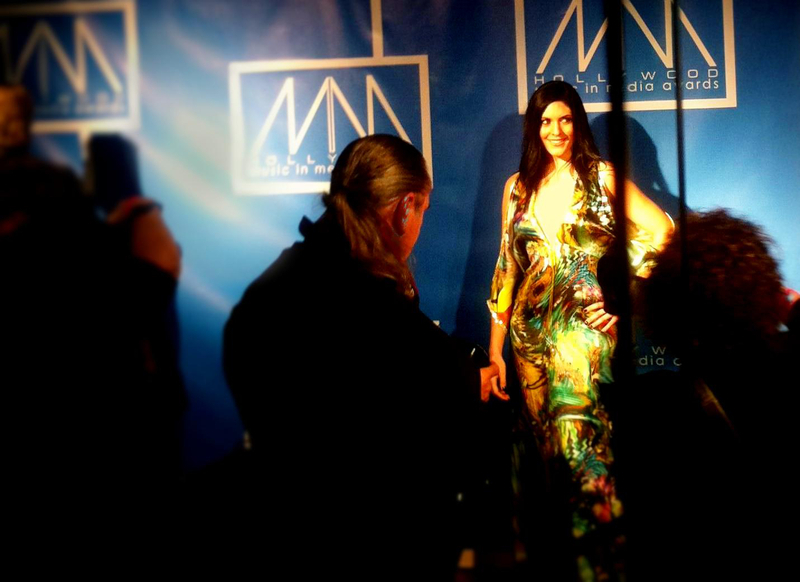 *Kristen Faulconer 2012 Nominee at The Hollywood Music and Media Awards in the "Rock" category for her song, "Phoenix" Feat. Chet McCracken (formerly of The Doobie Brothers). *Kristen Faulconer 2012 Nominee at The Indie Music Channel Awards for "Best Rock Artist". *Kristen Faulconer 2012 Nominee at The Indie Music Channel Awards for "Best Pop Song" for her song, "Fun". *Kristen Faulconer 2012 Nominee and Finalist at "The 2012 All Indie Music Awards" for "Best Rock Artist". *Kristen Faulconer 2012 Nominee at "The 2012 All Indie Music Awards" for "Best Pop Artist". *Kristen Faulconer 2011 Nominee at The Hollywood Music and Media Awards in the Original Song-Video Game Category for her song: "Slow Down" Feat. Raymond Herrera (from Fear Factory) on THQ's International Video Game Alive: MX vs. ATV 2011. Olive, Blink 182, Social Distortion, Bouncing Souls, Michael Jackson, The Used, Christina Aguilera, Pink, Enigma, Infectious Organisms, Simon and Garfunkel, Pink Floyd, Reba McEntire, Swinging Utters, Linkin Park, Deep Forest, Dido, Eminem, The Doobie Brothers, Fear Factory, The Foo Fighters, Hollywood Undead, The Veronicas, Evanescence, Nickelback, Blind Melon, The Counting Crows, Ani Difranco, John Denver. Written/Performed by Kristen Faulconer, Produced/Engineered by Jeremy Blair, Produced/Engineered by Handsome Rob, Drums by Raymond Herrera of "Fear Factory" and 3volution Productions, Mixed/Mastered by Steve Robbins, owned by THQ, Copyright 2011, the song is on the X-Box Game MX vs. ATV Alive 2011. Written/Composed/Performed by Kristen Faulconer, Produced/Engineered/Composed by Sean Gordon, Produced/Re-Mixed/Engineered/Composed by Handsome Rob, Drums by Chet McCracken, Guitars by Sean Gordon, Mixed by Rob Chiarelli, Mastered by Steve Robbins, Copyright 2010, Recorded at The Digital Dungeon and The Soundbakery.